This is the first installment of the best books I’ve read in 2018. Educated and Evicted were particularly fantastic! 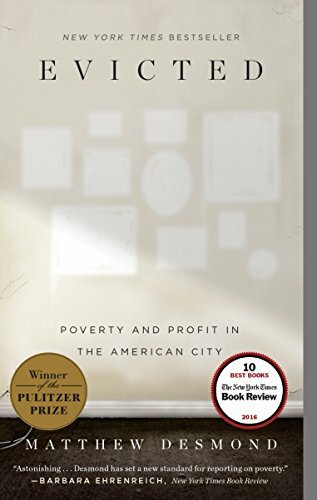 If you follow this blog, recently, I posted my reading list on Understanding Poverty, which has been the subject I’m trying to delve into this year. Some of the books on that list also make an appearance here. 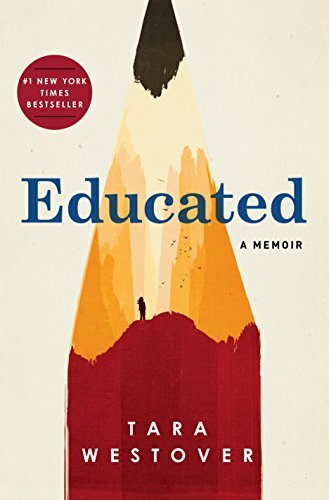 Educated is hands-down my favorite read in 2018 so far. It makes everybody’s best-of lists because it is just that fantastic. Westover tells her story of growing up in a fanatical, survivalist family who doesn’t believe in going to school, going to the doctor, or being registered in any government system. She finds a way to get out of her home and be in school for the first time at seventeen, and as she discovers education, she grows into her own self and her own thoughts. The most marvelous aspect of this memoir is her deep reflections on what is happening at every significant moment in her personal evolution. The tension between family loyalty and being able to think for her own is lucidly portrayed. It does two things for me. One, it makes me more appreciative of my own journey of education and the privilege to think. Two, it gives me a bit more understanding on the people and environment Westover grew up around. Simply said, it’s a marvelous and riveting memoir, deeply insightful and beautifully written. Evicted is one of the best books I’ve ever read. It deals with the deep struggle for housing for the poorest of the poor in America. One of the biggest points of the book is that eviction is not only caused by poverty, but it also causes poverty. Matthew Desmond wrote out his research brilliantly in a very engaging narrative nonfiction form. He followed the lives of several families and individuals for an extended amount of time and recorded their challenges every step of the way. This book was what sparked my quest into the topic of poverty. I got it through a Kindle sale a few years ago because the title was very intriguing. Imagine, I got it for $1.99, the same amount some people live on for a day. 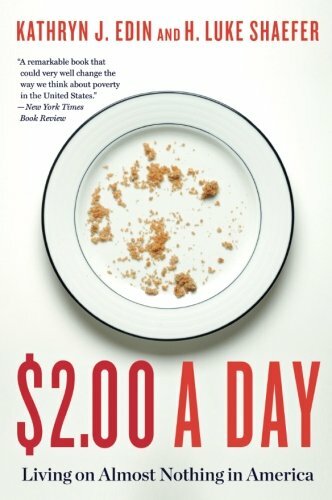 $2.00 a Day also follows the lives of a few people, but also covers some policy background that has historically impacted–for better or for worse–the lives of the poorest in America. Several common themes emerge from this book and Evicted, especially on how people cope at this level of poverty. 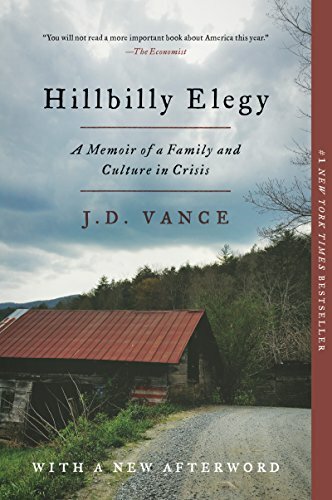 Hillbilly Elegy has been credited as one of the explainers of the protectionist movement that arises from those who feel left behind by globalization, modern economy, and society. I don’t think J.D. Vance set out to play this role–he was really just telling the story of his upbringing–but he certainly opened the eyes of many to a specific culture and community that doesn’t really get represented much in most media. I can’t really do it justice in this summary, other than to say, it’s an important read. 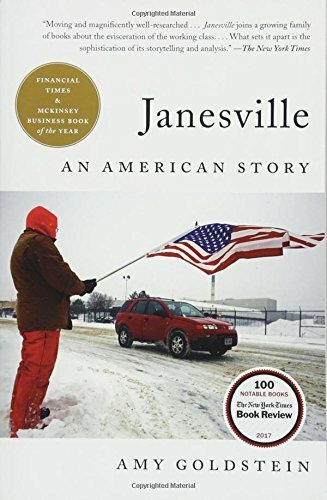 I used to pass by Janesville a lot on the way to visit my siblings in Madison, WI, but I had no idea what that town went through. This book tells the stories of several families as they experience the downward slip from the middle class to poverty after GM closed its biggest manufacturing plant in Janesville. The narrative is poignant because it tells what real people go through as a result of macro economic shifts in the world and corporate business decisions. I also think these kinds of ethnographic works should be the textbooks of anyone interested in policies–especially the policy makers–as they depict what happens on the ground. They can show where federal or state-level supports are needed, which programs work and which don’t, and what are the unintended consequences of certain initiatives. 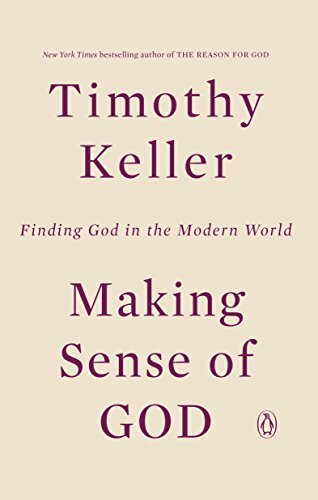 Of all contemporary Christian writers, Tim Keller is the one I respect the most. He is even-toned, nuanced, balanced, and incredibly well-read. What I love most of all is his cultural sensibilities: he understands the different narratives and values of different cultures, and is able to assess them vis-a-vis biblical values. To be more precise, he is not a preacher of Western culture, which I find quite common in American Christianity. Instead, he has the sensibilities to even examine his own culture and see the parts that are not entirely biblical. These strengths are reflected in this book, where he proposes points to consider to the secular audience as they consider Christianity. If you happen to have been burned by Christian books before, this is a good one to try again, because even if you are skeptical, you will be intellectually nourished. 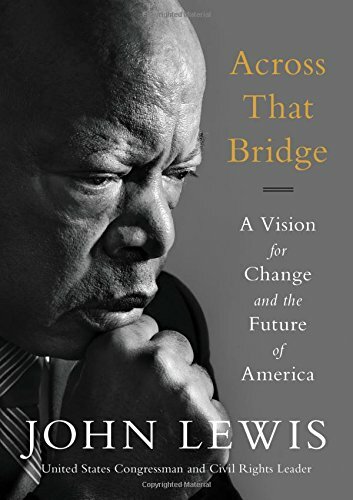 Amidst a plethora of angry and loud voices in today’s politics, John Lewis’ voice in Across That Bridge is refreshingly calm, full of wisdom, and enlightening. Lewis is someone who has fought for civil rights for decades, has been beaten, jailed, and threatened multiple times, and has continued to serve the public to this day. So the import of his words and counsel is deeply felt in this book. I picked this book up after listening to his interview with Krista Tippett on the spiritual aspect of the Civil Rights Movement. And boy, I did not realize how deep it was. The philosophy of nonviolence and their commitment to it is more than just a means to make social change. They were going for changes in the spiritual nature of society at the time. For young people who want to make an impact in the world, for those who feel called by activism, this book is like sitting at the feet of your favorite grandfather, receiving wisdom-filled advice on how to move forward from the one person who has gone through it all. 2017: Best Books of 2017 Part 1, Best Books of 2017 Part 2. 2016: Best Books of 2016 Part 1, Best Books of 2016 Part 2. 2015: Best Books of 2015 Part 1, Best Books of 2015 Part 2. *Amazon Product links on this blog are Amazon Affiliate links, which means that each time you purchase something through those links, I get a small commission without you paying any extra. Of course you don’t have to use them, but if you want to chip-in towards content creation for this blog, I’d really appreciate it! Sign up for Josephine's Letter to get books and podcast recommendations straight to your inbox. Plus, a FREE BOOK just for you! Welcome to the Reading Interview Series, where I chat with bookworms, avid readers and learners, to unpack their reading habits and philosophy. 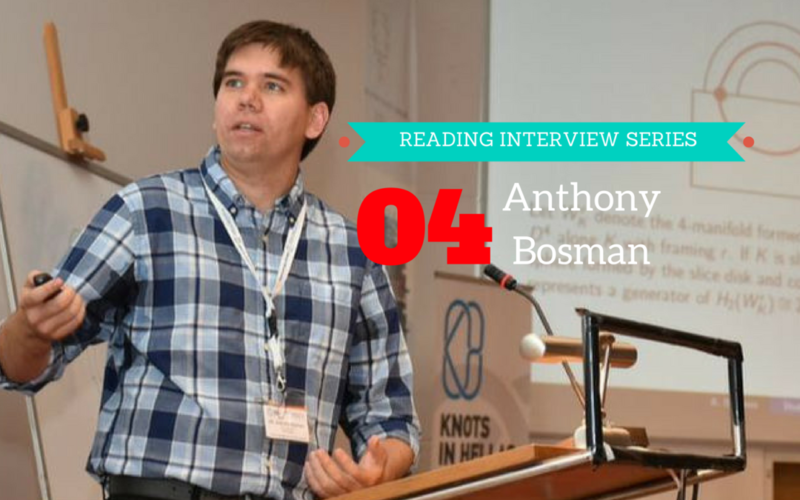 Anthony Bosman is my guest in this episode, a mathematician, professor, and a self-proclaimed, unashamed geek! Physicist Alan Lightman wrote a meditation on science and spirituality. This quote kept popping into my mind during this conversation with Anthony Bosman, a mathematician and assistant professor at Andrews University. He’s very passionate about his field, as you’ll hear in this interview. So naturally we talked about math quite a bit. If math gives you an uneasy feeling, hang in there for a few minutes and we’ll eventually get to his reading life and how that influences his teaching and life philosophy. Please enjoy this conversation with Anthony Bosman. Music: Orbiting a Distant Planet by Quantum Jazz. Licensed under a Attribution-ShareAlike 3.0 International License. Get notified for future interviews, book and podcast recommendations, and more! This is the second post of the Understanding Poverty series. Coming from Bryan Stevenson, lawyer, civil-rights activist, founder and director of the Equal Justice Initiative, a MacArthur Fellow, renowned speaker and social justice leader, those words, I must confess, are perplexing. Is it sympathy? Empathy? Some poetic pathos? It sounds so very virtuous, yet I don’t really understand what he means. In this New Yorker profile, Stevenson tells the story of Jimmy Dill, his client whose execution he tried, unsuccessfully, to overturn. Just before Dill was executed in 2009, he spoke to Stevenson. As he stands with the condemned, marginalized, and “broken,” Stevenson becomes broken too. His humanity is altered as a result of his proximity to those who suffer. What poverty. What actual suffering. I gave something that will help her to sleep—but the woman longs to have some care… confession and holy Communion.—I felt my own poverty there too—for I had nothing to give that poor woman. In standing with the poor, Mother Teresa came to a realization of her own poverty too. The Missionaries of Charity, in fact, commit themselves to four vows, namely poverty, chastity, obedience, and free service to the poorest of the poor. They want to be one with those they serve, for how could they understand the poor if they are not living as they live. What Stevenson, Mother Teresa, and the Missionaries of Charity have, to me, is more than just a feeling bad about the poor. It’s way beyond sentimentalism. It’s even deeper than feeling bad enough to do something about the poor. It’s more like entering into the experience of the poor and the marginalized, and being one with them. 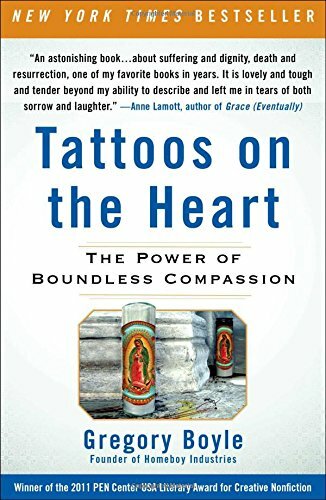 I found the expression of this shared brokenness most eloquently articulated by Gregory Boyle, in his books Tattoos on the Heart: The Power of Boundless Compassion and Barking to the Choir: The Power of Radical Kinship, where he shares stories and lessons from his work with Homeboy Industries, a rehab and re-entry program for gang members in Los Angeles. Kinship is more than doing things for others. It’s more than the “power dynamics” between the service provider and the service recipient. 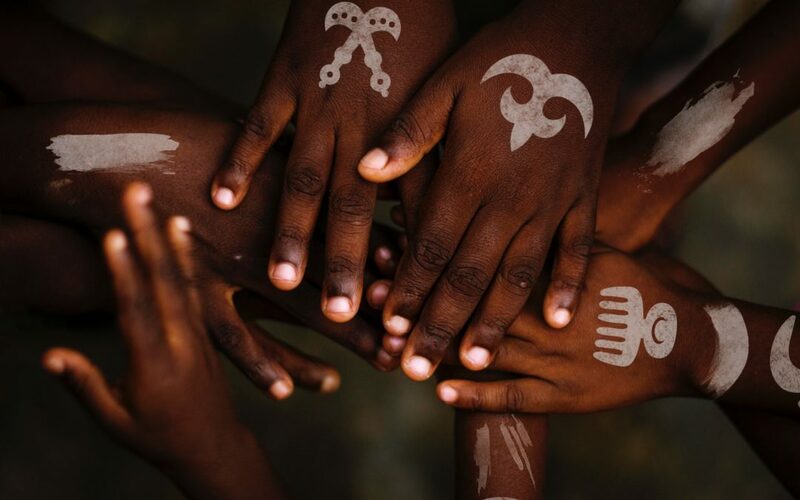 It’s about mutuality—a changing of both parties as a result of being proximate with each other. Often we strike the high moral distance that separates “us” from “them,” and yet it is God’s dream come true when we recognize that there exists no daylight between us. Serving others is good. It’s a start. But it’s just the hallway that leads to the Grand Ballroom. Kinship—not serving the other, but being one with the other. Jesus was not “a man for others”; he was one with them. There is a world of difference in that. In this kinship, what they feel is not wholeness or some self-fulfillment from doing something altruistic. Rather, a mutual brokenness, but also awe and dignity in those who are demonized by society. In the Christian context, I can’t help but think of Jesus. Could it be that He experiences kinship with us? Jesus’ strategy is a simple one: He eats with them. Precisely to those paralyzed in this toxic shame, Jesus says, “I will eat with you.” He goes where love has not yet arrived, and he “gets his grub on.” Eating with outcasts rendered them acceptable. What would it be like to feel the kinship of God? This is the personal blog of Josephine Elia. Writing about books (mostly), philosophy, and engineering. Audible Subscription Plans & Prices: Which One Is Right For You? © Josephine Elia 2008-2019. All rights reserved.